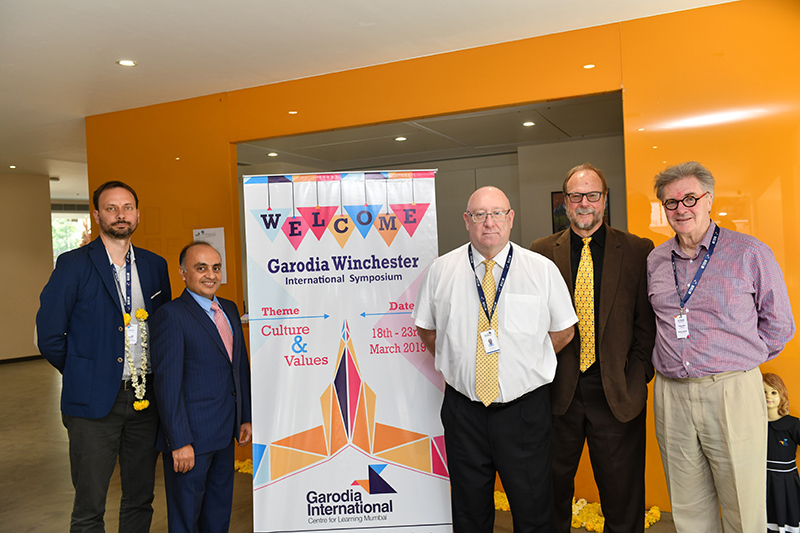 Mumbai is all geared up for the much awaited prestigious Winchester International Symposium 2019, to be hosted at the city’s leading international school – Garodia International Centre for Learning Mumbai (GICLM), from March 18 through 23, 2019. The Winchester International Symposium was incepted from an idea to invite top 10 schools worldwide to form an association that represents a diversity of cultures and ideas, whilst being recognised as a top achieving school in the respective countries. The schools on board take turns to host the event in their respective countries. Presently in its 10th year, the symposium offers a unique opportunity for top scholars to focus on world issues and debates in the week-long event. Eminent scholars will collaborate across the borders of ethnicity and cultures at the symposium to work on a common accord, which will be published and circulated thereafter to respective government and international agencies. The previous accords have covered pertinent issues like poverty, environment and similar global issues. This year’s accord will be a statement about the “Nature of Culture and Ethics in a divided world’’. This is a key statement identifying specific ways for countries, governments and their citizens to engage in unity rather than diversity, understanding rather than conflict and universality rather than individualism. The symposium will witness participation from students of countries such as the UK, USA, Japan, China, South Africa, Colombia, Prague, Slovak Republic which makes it a culturally and ethnically diverse group congregation. The researches will go a long way in trying to tackle problems and issues across the world from the grassroots through the extensive research materials submitted through the symposium. Besides, GICLM is also organising Yoga and meditation classes for the participants and their faculty, a heritage walking tour of Mumbai city and Dharavi tour, Indian cookery experience, Bollywood dance sessions, cultural performances along with the festival of Holi celebrations. Being hosted for the first time in India, the prestigious Winchester International Symposium helps enhance the global outreach and learning for students by getting them acquainted to new forms and methods of learnings, socialising with their peers from global institutes. The symposium puts into action the ethos of an IB school which aims at providing global education to its students in letter and spirit. The symposium will be graced by illustrious speakers who will address the students and share industry insights and anecdotes from their personal lives to inspire the students. The speakers include Andy Fletcher, renowned international speaker and author of best- selling books like- ‘Life, the Universe and Everything’, ‘There’s Nothing There, But Nothing is Really Something’ and ‘Quantum God Fractural Jesus’; Anirudh Pandita – the founder of Pocket Aces, Indian’s leading digital media entertainment company whose mission is to solve boredom; Dr. Vivek Bammi – an internationally acclaimed teacher and author who has been instrumental in developing Critical Thinking and Theory of Knowledge in schools worldwide; Dr. Jayashree Giri, retired associate professor of SIES College of Art, Science and Commerce, Mumbai and Ian Davies – head of school GICLM who has a vast experience spanning over 37 years in international education across countries such as UK, Malawi, Indonesia, Poland and Russia. A prominent name in the field of education, he is currently steering the school’s education roadmap making it a truly global school. Having started in 1969 with only seven students in a small garage, today Garodia Education has emerged as India’s leading education group that delivers high-quality K-12 education aimed at nurturing well-rounded global citizens of tomorrow.